As fares rise AGAIN in 2012, the London underground is obviously the place to be. The most luxurious and time efficient transport system in the world will have you whizzing around England’s capital city of London in no time at all, and all for just a teeny tiny fortune … per day. It’s a place to meet new people and swap stories, read, dance, drink and be merry. The views from the carriage windows are a sight to behold and you may even be lucky enough to be able to rest you face in someones armpit. If you’re not from London the whole underground thing will obviously be a bit new to you. For maximum enjoyment whilst riding the trains, I suggest you follow my very helpful and in no way sarky list below. Have fun! Buying a ticket can be a relevantly difficult task. Not everyone studies computing at degree level, so if you’re having trouble with the ticket machines, just take as much time as you need. A queue may form behind you but ignore it, the English love to queue. If people from the queue start to shout do not fear, they are merely shouting encouragement. Take your time and select the correct ticket, the trains will wait for you. When a train pulls into the station, stand right in front of the doors, so that when they open you have the best chance of rushing on and finding a seat. Under no circumstance should you wait for anyone to get off the carriage first, if anything push them straight back on, they won’t mind going another stop or two. Once on the carriage, find you way to a seat as quickly as possible. If with friends, save them seats by placing your bags on the extra seats, and shoo away anyone that might even consider sitting where your bag is currently placed and where your friend may or may not sit at some point in the distant future. These people are just rude, report them if need be. If there are no seats available, and faining injury does not result in some kind sole (mug) offering you a seat, proceed to stand only by the carriage doors. Do not move down the carriage and stand in front of the seated passengers. Standing by the carriage doors will ensure fewer people are able to get on the train at the next stop, therefore ensuring that your carriage does not become overly crowded and hot. When standing, feel free to play music from your MP3 player as loudly as possible so that all other passengers are kept entertained by your musical choices whilst on their journey. An alternative to this would be to get out an A1 sized map so that everyone can have a look at where you’ve been in London. There may be a point where you need to change trains in order to reach your final destination. When walking the station platforms and tunnels leading to other platforms feel free to stop and stand at the top of the escalator and consider you options. When you have reached your chosen destination and wish to scan your ticket in order to leave the station, at no point should you even consider queuing. If there is space use it up, fill in the gaps, you’ll get out of the station quicker that way. I think that just about covers it. 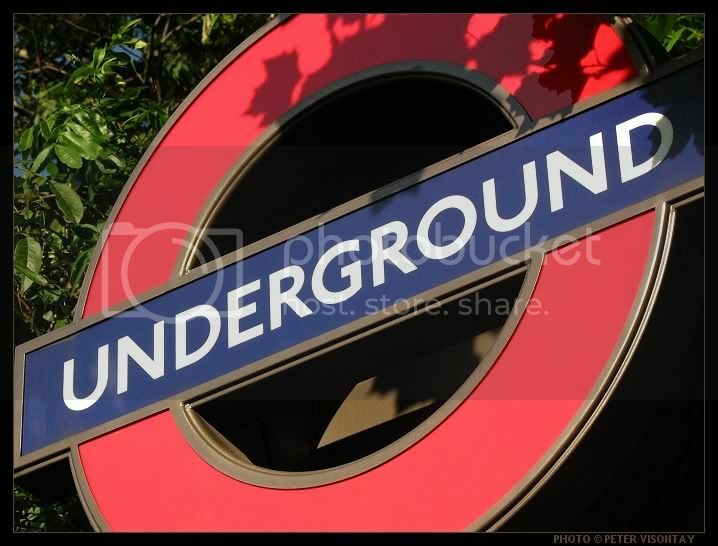 The underground is simple once you know how. Disclaimer* Seriously, if you do the above and get a tiger uppercut in the face I will not be held responsible. The above is quite obviously sarcasm. If you like me are a fan of sarky British whit, might I recommend the following article from the My Destination crew – How not to be a Londoner. Marvelous work. Very good stuff! I shall personally be putting all your sound advice into practice in the near future. We could definitely add this into How NOT to be a Londoner (http://myde.st/vB7ZFQ) And is that a Street Fighter reference lurking at the bottom there? Yup, love street fighter. You need street fighter esq skills to survive on the streets of london, never know where the next sonic boom is going to come from! Funny stuff Neil and so true… I’ve had some of the worst times in the London Underground, although nothing too wild to list here. Good JOB!! HAHAHAHA this is amazing! Pushing the passengers who want to get off back ON to the train. Seriously, some people seem to legitimately do that. Also, what’s with the girl with the bags?! I’d just finger click in her face and sit down anyway if there were no other seats available. I won’t go on to what I actually think about the Underground and its prices, because my comment would just become a list of every expletive that I know. Poop. They go up every year, its a scam. Ok its only 10p a year, but its already £1.50 to go one stop, in 20 years time will I really be paying £3.50 to go a single stop? … and thats with an Oyster card.